Make a mark with abstract art. 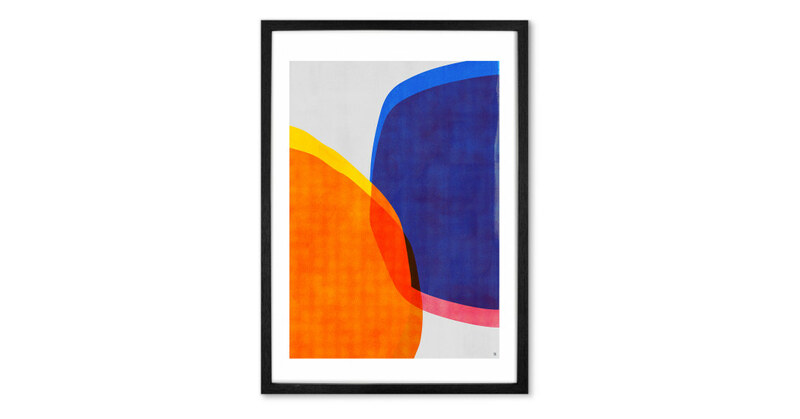 Eye-catching and minimal, this wall art from Tracie Andrews uses bold colour and shape to make a statement. Perfect in any room. Explore balance and colour with Tracie Andrews. A UK-based artist, Andrews’ collection of minimalist wall art is created using digital and classic techniques. Ideal for anyone with modern tastes. We did the hard work so you don’t have to. This print is already framed, in a sleek modern frame for a contemporary finish. And fitted with metal hanging hooks, you can create your gallery wall with minimal effort.